I have finally decided to try my hand at merchandising some of my photographs over at Zazzle. I’ve wanted to do this for a while now but never actually took the initiative. Well, that’s not totally true because I did set up a Zazzle account last year but was overwhelmed with how to use the editing tools. So, last Monday I went back into my account and was persistent until I finally figured out HOW to do it. And guess what? I created my very first calendar using 13 of my own photographs! I also created some other items, which I will be posting in my Zazzle Store later this week, just as soon as I can figure out how to create my home page. Boy, they don't make it easy over there to figure out how everything works. But I'm slowly learning. I have no idea where all this will lead me, but I would like to start doing something with my photographs and thought that because of my interest in photography and my background in retail, this would be a good start. I can share my favorite photographs on products and then offer them for sale. I'm looking forward to this new adventure. And seeing what paths it takes me down. 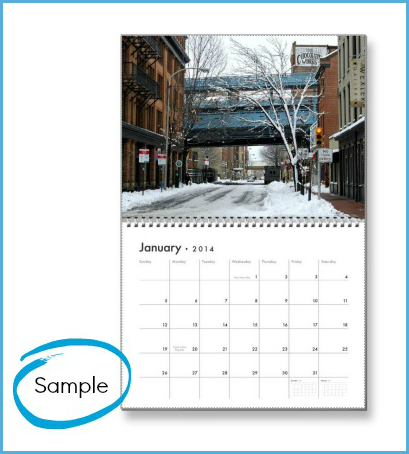 Once you go over to my Zazzle calendar page, you will be able to click through all 12 months and view each photo up close. It's a really cool display system! And just as a tease, I thought I'd show you some of the others items I'll be adding this week. And again, you'll be able to view each of these items close up and from all different angles so you can see each product fully. I also set it up so that if you would like to choose a different style cell phone cover, you can customize the cover with the same photo. It's like a do-it-yourself feature! And I may be doing that with other products as well. Here is the link to my Zazzle Calendar. 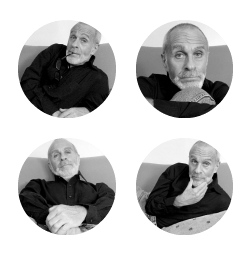 I also placed it on my sidebar with a photo. Once I get my whole store set up properly, I will change the link so that all you have to do is click on the photo and it will take you there. Anyway, that's what I was doing all last week until the wee hours of the morning - creating products and trying to set up my Zazzle Store. Yup...it was QUITE a challenge. But hey, it was fun too. Plus, I learned a lot of stuff. Update (Tuesday the 19th): Yaaaaaaay....my store is finally open and live. Here is the link to my home page: Caught My Eye. PS.......still not getting your posts in my feed! Anyone else having this issue? Hi Bijoux, yes I have this problem. Can't seem to resolve it. Congratulations, Ron! I just checked out your calendar and I thought those images were fantastic! I especially like the December shot of Rockefeller Center--what a set of balls! I really admire how you put your head down and made this happen. "So, last Monday I went back into my account and was persistent until I finally figured out HOW to do it." Now that's the kind of can-do spirit I want to emulate! Great work, buddy! Have a fabulous week! Ron, I love that you've decided to do this with your photographs because I've often thought that you should. I am so excited for you. What a great calendar and the photographs you've chosen are beautiful. I love the two cell phone covers. Love The Thinker! I can't wait until you get your store open so I can go shopping. Perfect timing too, right before the holidays! Congratulations! Good luck with your Zazzle store! "But what's with the PG-13 rating? LOL"
HAHAHAHAHA! Thank you for mentioning that because there are several things I've overlooked in the settings of each product. And THAT'S one of them - the ratings. I changed it to a G rating! OMG...setting up this store and adding each product has been SUCH a production. A lot of things are very confusing. Hopefully by mid-week I'll have it all worked out. Thanks for stopping, my friend. Have a faaaaaabulous week! I don't know what's up with that. I was also having issues last week, but it seemed to work out because now I'm updates in my feed. I don't know if this issue is with Blogger or Feedburner. Anyway, just know that I will still be posting every Monday and Friday as always. Sorry about the issue. Hopefully it will fix itself. "Someone told me about Zazzle some time ago and I had a look, then hopped out as quickly as I could. It all seemed so complicated." Yes, it is complicated because it's sort of "every man for himself." They do supply some information but it's very general, so you have to investigate HOW to do a lot of things. Zazzle changed their editing process so that was easier than when I joined last year. However, setting up your Zazzle Store is very challenging. I still can't get my products to show up on my home page. Much thanks for stopping by, dear lady. Have a lovely Monday and week!
" I especially like the December shot of Rockefeller Center--what a set of balls!" HAHAHHAHAHAHA! I took that photograph about two years ago when I visited NYC in January. I couldn't resist including that one!! "I really admire how you put your head down and made this happen." Thank you. There are still so many things I need to figure out. Hopefully by mid-week I'll have my store front set up. Much thanks for stopping by, buddy! Have a faaaaaaabulous Monday and week! Thank you for your supportive words. You're a sweetheart.
" I love the two cell phone covers. Love The Thinker!" I also made several other cell phone covers. I created about 10 of them, all with different photos which can be placed on different covers if you choose. "I can't wait until you get your store open so I can go shopping. Perfect timing too, right before the holidays!" That's why I wanted to get this store set up now, right before the holidays. Hopefully this week I'll get the store front launched. OMG...it's been such a PRODUCTION! Thank you for stopping by, girl. Have a wonderful week too! What a fantastic idea! Your calendar looks really beautiful. I wish I could do something like that, but I'm not sure that these things do well in the UK, or even if it's available for the UK. Thank you :) Glad to hear you like the calendar. It was actually the first thing I created last week. I also created some other items, which I will be posting on my Zazzle Store, just as soon as I can figure out how to do it - HA! ". I wish I could do something like that, but I'm not sure that these things do well in the UK, or even if it's available for the UK." Yes, I checked on the Zazzle website and found out that it is available in the UK. Much thanks for stopping by, my friend. Have a lovely week! Ron, I am so glad you're doing this! As I have always said to you, I think you should be doing something with your passion for photography and this is a great way to get your feet wet and try it out. You calendar is rockin'! Great selection of photos. And I can't wait to see your other stuff. I'll be checking it out periodically to see what else you have created in your store. You are so welcome, Babs! Yes, take a look and see what you think because I LOVE your photography and maybe this might be something you could do with your photographs as well. Like I shared, I set up my Zazzle account last year but never did anything with it because it seemed too complicated. However, they changed their photo editing process, so that's much easier. Yet, setting up my store has been SO confusing. Hopefully by mid-week I'll have it up and running. Wish me luck - HA! Ron, you are SOOOO creative! What a fun project, and I love how it turned out. You know, there are so many editing sites like this that I expect calendar sales to be down a lot. And why not? Why not kill two birds with one stone -- learning something new and useful AND having a full year of photos you took and love!! Kudos to you, my friend, and thanks for the nudge to do something similar. Have a splendid Monday! Aw...thank you, Debbie :) I changed the photographs on the calendar like a HUNDRED times because I couldn't make up my mind which ones to use - HA! Finally, I decided on the ones I chose. "And why not? Why not kill two birds with one stone -- learning something new and useful AND having a full year of photos you took and love!!" My sentiments exactly! I'm not expecting to make a fortune doing this, but it's a good way for those of us who love to take pictures and have a passion for photography to share our images and get some exposure. PLUS, I'm learning so much through doing this.
" and thanks for the nudge to do something similar." You GO, dear lady! You can create so many cool things over there. And it's FREE, so you have nothing to lose. Give it a go. Much thanks for stopping this morning. Have a super-duper Monday and week! AWESOME! Your photos are amazing! I've been wanting DirtMan to design a calendar for our Relay for Life team...still waiting!
" I've been wanting DirtMan to design a calendar for our Relay for Life team...still waiting!" OMG....that's a GREAT idea! Try Zazzle because the actual 'creating' of the calendar has gotten much easier than when I first opened my account. The only thing I'm finding very challenging is the 'store set up.' But you don't have to set up a store to sell your items, you can just use the link from each product you create and then people can just go there and purchase them. Between the gorgeous photos that both you and Dirtman take, I can SO see you making a stunning calendar! Thanks much for stopping by, my friend. Have a beautiful Monday and week! I'm having real problems attempting to open a shop. It won't send my email verification link and It won't allow me to ask for help as my email address isn't verified! I have tried several times, with two different email addresses, so it seems I'm not meant to have one. I may try again later, but don't see a way past the email verification. I will try to see if I can find out anything on Zazzle today, by going into the forums. If I find out anything, I will email you. But give it some time, Babs, because I found that there is a delay sometimes in getting email verification's. The same thing happened with me. Great photos Ron. Never heard of Zazzle before, interesting site, thanks. Zazzle is a place where you can created things by using your photographs or artwork, and then sell them. I opened an account with them last year, but never got to doing anything with it until now. Much thanks for stopping by, buddy. Hope you're having a super Monday! This is really awesome Ronnie! Love the idea! Great way to share your photos with others and make a little profit off of it! Good for you! And can I just say the pictures are breathtaking! As I shared, I've wanted to do this for a while now but kept putting it off. Then last week I decided to give it a go. I'm just gonna see where this takes me. Much thanks for stopping by, girl. Have a marvi Monday and week! You take such good pics, I have no doubt your Zazzle will dazzle. How exciting to get in there and start playing around! I recently downloaded a mobile photo editing software app that I've been using to touch up my Instagram photos, and I have to admit, it's pretty addictive. And as confusing as it's sometimes been, figuring everything out, it's been A LOT of fun and rewarding as well. "I recently downloaded a mobile photo editing software app that I've been using to touch up my Instagram photos, and I have to admit, it's pretty addictive." OMG...I know what you mean!!!! I use two different photo editing software's and I'm CONSTANTLY playing around with them, messing with my photos. Oh, but what FUN, right? One of these days, when I finally get a cell phone, I have got to try Instagram because the photos I see their are AWESOME! Thanks for stopping by, buddy. Have a most excellent Monday and week! I finally got my email verification, but now I can't get past the capcha! I've tried about 10 times. It says my name is available, but it won't accept it. If this is what it's like at this stage, I wonder what else will be glitchy on the UK site. Glad you finally got your email verification, Babs, but I don't recall having to do anything with a capcha. I just signed up; received an email verification; then I was good to go. Maybe try again tomorrow. Let me know what happens. Ron, I read your post this morning while I was at work and didn't have time to really look over your new calendar, so I wanted to wait until I got home tonight. Congratulations! You did a great job on your calendar. And the photos you used are fabuloso! Nice variety. I think it's such a great idea that you're doing this because you have such gift for photography. And I'm going to copy what Mark said below my comment, I have no doubt that your Zazzle will dazzle! Keep us posted as to when you open your store because I'll want to check out your other items. I really the cell phone covers you made. The best to this new adventure, Ron! i haven't done calendar work myself. i think you should have some printed and take them around to the local places in philly. people love photos of the local scenery. nice work, my friend. much success! And yes, I will keep you posted on when my store opens. I've had some issues with posting my products on my home page, however, I changed some things in my settings today, so I'm hoping that fixes it. They said it sometimes takes 24-48 hours for your products to migrate onto your home page, so hopefully by tomorrow it will up and running. Thanks a bunch for stopping by, buddy! Have a FABULOSO week! "and even the picture of the snow is nice (and that's how i want to see snow...in pictures ;))"
HAHHAHAHAHAHAHA! I know, snow looks SO MUCH better in pictures, doesn't it? ". i think you should have some printed and take them around to the local places in philly. people love photos of the local scenery." GREAT idea! I need to actually buy one myself so that I can see HOW it looks in person. I worked so long to get the photos cropped and centered. The photos look good when I use the enlarge button, so hopefully they'll look the same in print. "i haven't done calendar work myself." OMG...you should because you have so many AMAZING photographs! And you can make so many other things too. You can even create canvas prints! I may do that myself. MUCH thanks for stopping by and for your encouragement, girl. Have a wonderful week! "(heh...I like typing that word. Zazzle.)" HA! I know what you mean! I think it's because of all the Z's!
" I can only attempt to imitate." I've seen your photographs on your blog and they're AWESOME! I think you have a VERY natural talent (eye) for photography! Much thanks for stopping, buddy. Have a ZAZZLING week! May the force be with you, Ron! Aw...thank you, Lisa! You're a sweetheart! Yup, just in time for the holiday shopping season. That's why I was trying to get this done now. It will also leave me time to add more items before Christmas. "Isn't it a great feeling when we figure out something that's a challenge to our current skill set." You said it, my friend. And today, my store is official open and live. Yipeeeeeee! Much thanks for stopping by today. Have a grrrrrrreat rest of your week! Zazzle was news to me. I didn't spend much time on their main page but did check out your page and the calendar. It looks great and I like the way it is made - looks like it is a quality product! It does seem a little pricey to me especially if there are shipping charges added but I'm not a shopper so have no idea what things cost. 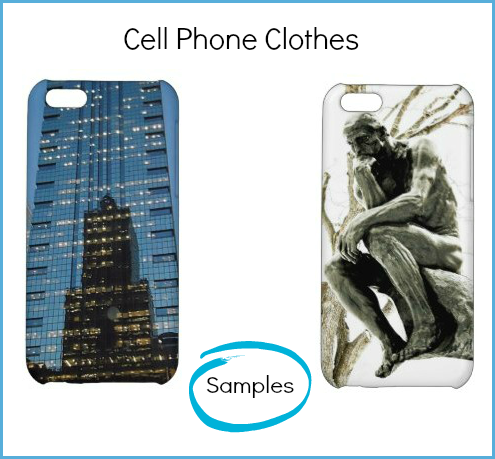 I'm looking forward to seeing your Zazzle website with all the items you make available. Hope you the best with this venture! I went into my settings yesterday and changed the 'ratings' for all my products to a "G."
I think Zazzle automatically sets each product that people upload to their store at a "PG" rating just to be safe. Well done with the Zazzle venture Ron, that is so cool! I know a few people that "zazzle" and they have nothing but good things to say about selling their crafts over there. Zazzle has been around for awhile now. It came after Cafe Press with launched (which is the same kind of make it, then sell it online store). "It does seem a little pricey to me especially if there are shipping charges added but I'm not a shopper so have no idea what things cost." Thank you for your feedback. I set my calendar at that price because Zazzle takes a hefty % of the sale, so I need to make a fair profit. I'm just going to wait and see how things go, and may change my pricing later on. It will be a work in progress. Much thanks for stopping by and for your encouragement, buddy. Have a super week! "I know a few people that "zazzle" and they have nothing but good things to say about selling their crafts over there." That's so great to hear! I've done some research on Zazzle before deciding to do this and read a lot of positive things about their shipping and return policy, and also the quality of their products. Thank you so much for stopping by and for you supportive and encouraging words. Have a faaaaaaaaaaaaabulous week, my friend! I've been wanting to do this for some time now, so I decided to give it a go! Much thanks for stopping by, m'dear! Have a lovely week! i wanted to pop over and say thanks for the visit ... i dont usually (i know this sounds bad ... ) do blog replies, i try to reply to every comment on my blog(s) via email but you come up as a 'no-reply comment' and there's no email here for you ... anyway it was nice to meet you and i look forward to 'a face to face' when Pearl visits NYC next fall! I cannot WAIT to shop in your Zazzle Store!!!! "I don't usually (i know this sounds bad ... ) do blog replies." No, I don' think that sounds bad at all, it's simple the way you like to reply to comments (via email) - I totally understand. In case you ever wish to get in contact with me, my email address is on my Contact Page below my header. And yes, I am soooo looking forward to meeting you face to face when I meet Pearl in NYC next Sept! Again, thank you for stopping by, Daryl. Have a great week! I just checked my Zazzle Store this afternoon and it's up and live. So feel free to stop by whenever you wish. I'll be adding more items during the next couple of weeks. Much thanks for stopping by, girl. Have a FAB week! That's so very cool, Ron! I hope that goes very well for you. It'll be fun knowing people out there have your photos on their iPhones or on their wall! I've been wanting to do this for awhile now. I'm just going take it one step at time and see what happens. MUCH thanks for stopping by. Have a FANTABULOUS week! HA! You're right, Chrissy...it's about time!! Somehow last week, I suddenly got inspired to actually go back into my account and just DO IT. Today, is the first day that my store went live. I was waiting for days, but they're kinda slow in migrating products into a new store.
" 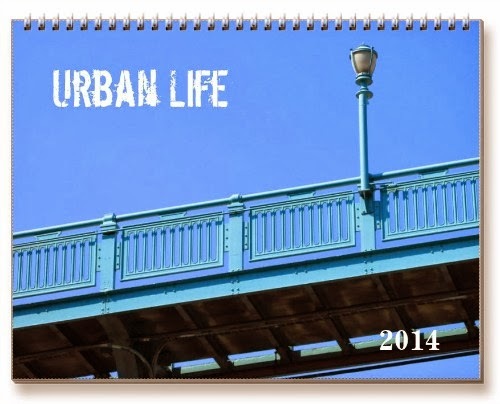 A friend created a calendar on Zazzle and the quality is fantastic." Yes, that's what I hear, the quality of there products is really good. And their shipping is fast too. MUCH thanks for stopping by and for your encouragement and support, girl! Have a super week! OH My Gosh! Okay, I have just found my new 2014 office calendar! You are amazing. Aw....you are a sweetheart! Thank you, my friend! And MUCH thanks for stopping by. Hope you're having a spectacular week! I really wish I had a penny or 2 to spend, I could go crazy shopping because I love your pics! And I totally understand. Things are tight right now with people. I posted this to let my readers know, but with no pressure or obligation to buy. I'm primarily doing this to get more exposure of my photographs. Much thanks for stopping by, my friend. Enjoy the rest of your weekend!